Download the latest manual for your laser system. 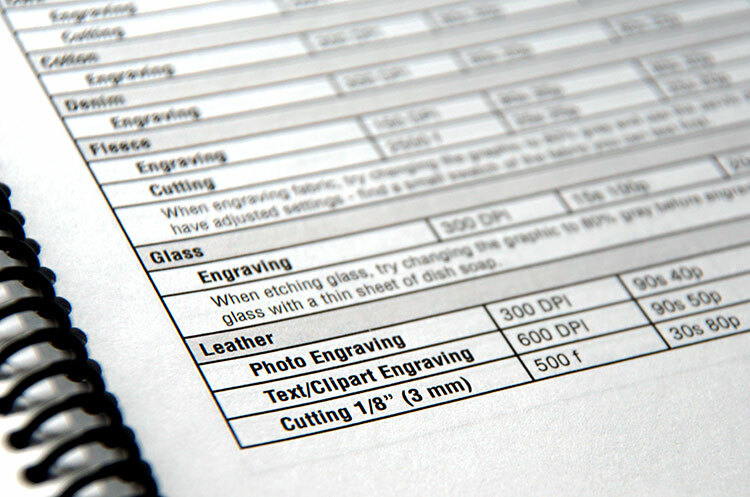 Epilog's owner manual is a complete step-by-step instruction guide that will walk you through the technical details of your laser system. You simply won't find a more thorough or detailed description of how to use a laser anywhere. You can download a PDF version of our most recent manuals for our current and past laser systems. Find out how to install the laser drivers, suggested settings for various materials, how to engrave with the Rotary Attachment, and much more.